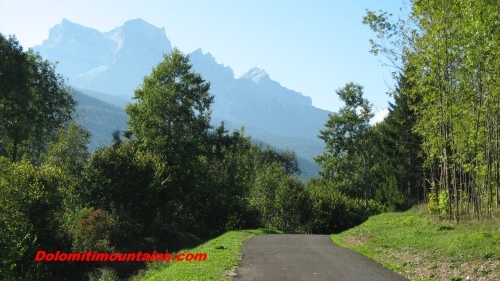 Follow the tracks of the bike path means taking advantage of gorgeous split the mountains of the Dolomites. During a warm and clear day you can admire countless peaks, even the most notes. Right here in front appears Mount Pelmo.